If you are making plans to travel with your baby while breastfeeding, you may want to read up a little. It may seem a little daunting, but definitely possible! Yes, the last thing we want during a family trip is to worry too much or be caught unprepared. Fret not! Here are some tips that will prepare you ahead for the unforeseen circumstances! Nursing clothes have never been quite fashionable until lately! Today’s best nursing clothes ooze simplicity and style. They are even designed to be worn through pregnancy and beyond. Good nursing tops have patterns that you can’t even tell they are in fact tailored for nursing. These pieces are chic enough to be worn to work after the maternity leave is over. Just remember to choose the ones that are easy to care (e.g. machine washable), suitable for the weather of the country that you’re visiting and most importantly comfortable and easy for you to breastfeed your baby. Yoga or jogging pants are comfy and fuss-free to put on. While some breastfeeding mothers prefer to wear a nursing bra, others may prefer not to do so to avoid the hassles of removing the top – fiddling, snapping and unsnapping or clipping and un-clipping. Yes, troublesome as it sound, choose one that is fuss-free to remove. You don’t want to be caught in a situation where you struggle with the top and your crying baby. For added security or privacy, bring along the nursing cover or wrap while nursing. If you are hitting the roads, then plan for frequent stops. The constraints in the car may be quite tiring for you and the baby, especially when baby have to be placed in car seat. These short breaks are essential to give some rest for both of you, to rest, cuddle and nurse. If you are taking the plane, choose a window seat so you have more privacy while breastfeeding. Some mothers may prefer to take the aisle seat so that they can walk around to calm the baby. 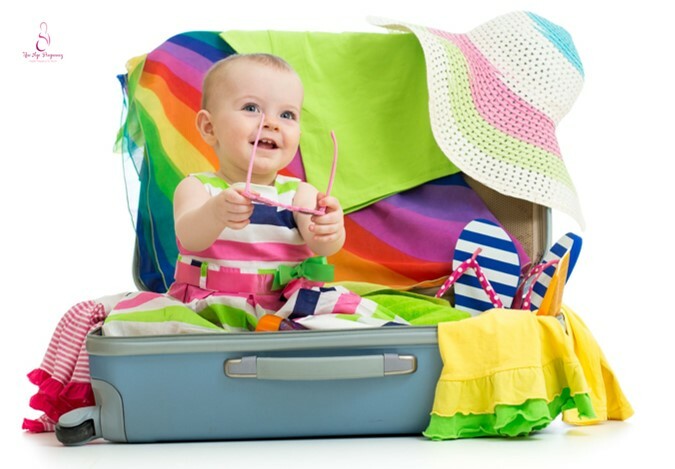 If you are travelling with young children, check out the Best Airlines That Offer Free Or Discounted Air Fare For Baby And Toddler! The tip here is to breastfeed your baby during take-off and landing. The suckling and swallowing will help equalise the pressure in the baby’s ears. Madam Azreen Halil, a mother of two young children and a frequent traveller has this advice for nursing mothers. She says, “feed the kids as much as possible when they are awake as this helps to reduce the changing air pressure in the babies’ ears”. Since it is compulsory to show your baby’s passport AND his face to the immigration officers, there’s no way you can “hide” him under the wrap or nursing cover without any checks from the securities. So, feed your baby well before checking-in to avoid any unwanted grumpiness or wailing hunger episodes from the little one at the security counter. Once you’ve passed through the checks, rest assured that families with babies and young children are always given the priority to board the plane first to give you the space and time to settle down. #5 Travel with or without baby? Majority of breastfeeding mothers travel with their babies but what about those moms who have to travel for certain reasons especially because of work? What happens to the baby without their mothers? Well, the answer is to pump! Pump as much breastmilk as you can. Be sure to pump enough for the period you will be away, plus enough for a few extra days, just in case you experience any delay. For mothers who express their milk, it will be recommended to express the breastmilk before you go on board the plane or in the car. This will give you an ease of mind that the milk is ready and save you the hassles of fiddling with the equipment at the last minute. If the voyage is more than three hours and you need to pump again, make sure the electrical outlets are available on the plane. Otherwise, get extra batteries. Be prepared also for unexpected events like the pump suddenly refuses to function. It’s advisable to always have extras such a portable manual pump for emergency or just to play it safe. #8 Is pumped breastmilk allowed during flight? Reports on Wikipedia cited the incident of 2006 transatlantic aircraft plot, whereby a group of men were apprehended on grounds of having a “terrorist plot to detonate liquid explosives carried on board seven airliners travelling from the United Kingdom to the United States and Canada. The plot was discovered and foiled by British police before it could be carried out and, as a result, unprecedented security measures were immediately put in place”. Due to this unfortunate incident, restrictions on liquids being allowed to be carried by passengers took an immediate effect. However, over the years, this rule has been relaxed a little and airlines these days are usually flexible when having nursing mothers flying with them. 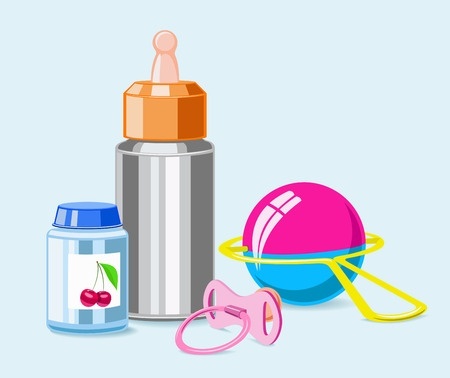 Hot water in the thermos, pumped breastmilk, bottled drinking water and other baby foods and drinks are usually permitted on board. Nursing mothers just need to inform the security in advance for them to carry out their screening. #9 How to store your breastmilk? The best way to store breastmilk is in sealed containers kept in a small insulated cooler with frozen ice packs. Put only a small amount of milk in each container; so that you have a single serving ready to feed your baby. Once you reached your destination and have checked into the hotel, store the pumped breastmilk into the hotel’s fridge. Freshly expressed milk is safe for infant’s consumption even when stored at room temperature for up to six to eight hours. Fresh milk may be safely stored in an insulated cooler bag with frozen ice packs for up to 24 hours. Refrigerated milk can be stored for five days. Always remember to wash your hands before and after each feed and it’s a good practice to use hand sanitizer before feeding your baby or when using the pumps and its accessories. Prep yourself with a few packs of baby wipes as they will be your saviour. They are handy for cleaning any spills too! Anddd………. 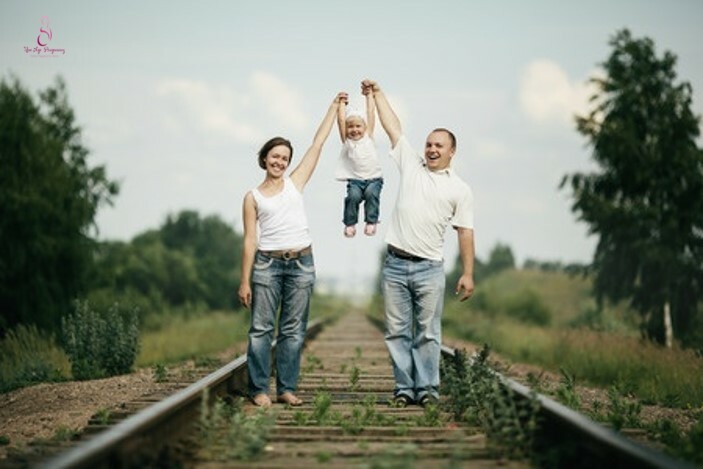 The final tip for you is to loosen up a little and create tons of beautiful memories for your family! Have fun and stay safe! Join the Breastfeeding with Love Facebook Group to find out more and be part of our breastfeeding online community! Breastfeeding Secrets and Hacks You Should Know! How Do I Know If I Am Producing Enough Breastmilk for My Baby?